It has been more than a century since my family settled in New England, led by my grandfather, Bill Malone, a son of Ireland and a refugee of industrial England, who came to Fall River, Mass., at the age of 10 to live with an aunt he had never met. My grandfather was welcomed there by a church and a community who gave him a home, a brief education, a job and, most important, a chance. Fifty-nine years later, he retired as general traffic manager for Lever Brothers North America. What he earned in those years helped put me through college. My grandfather’s path to the American dream is now largely impassable. No one should expect today to ascend the ladder of professional American life with nothing more than natural talent and a capacity for hard work. Education, while always important, is more important than ever. Yet we desire to bequeath to our children considerably more than an equal opportunity and a higher standard of living. As Christians, we measure progress not by the gross domestic product but by the advance of love and justice. It is for this reason that a Catholic education, fixed as it is in a vision of love for God and neighbor, is such a precious and life-giving gift. And a Catholic education is more important today than ever before, not merely because the absolute value of education has risen but because those moral and intellectual qualities that a Catholic education deliberately cultivates are so desperately needed. First, a sound Catholic education respects the marriage of faith and reason. Without faith, reason is strictly scientific knowledge; and without reason, faith is a dangerous and often deadly force. The two, faith and reason, work hand in hand, for without the other, each ceases to be what its name signifies. A Catholic education, rooted in faith and reason, therefore, cultivates a suspicion of the ideological partisanship that sickens our contemporary body politic, for it teaches us that life is complicated, even messy, and that true human wisdom is the product of a joint effort between God and humans. Second, a sound Catholic education is desirable in the present ecclesiastical and civic climate because American Catholics have left the Catholic ghetto of decades past and taken their place in the ordinary life of this country. This is surely a good. Yet we have left too much of the culture of that ghetto behind. 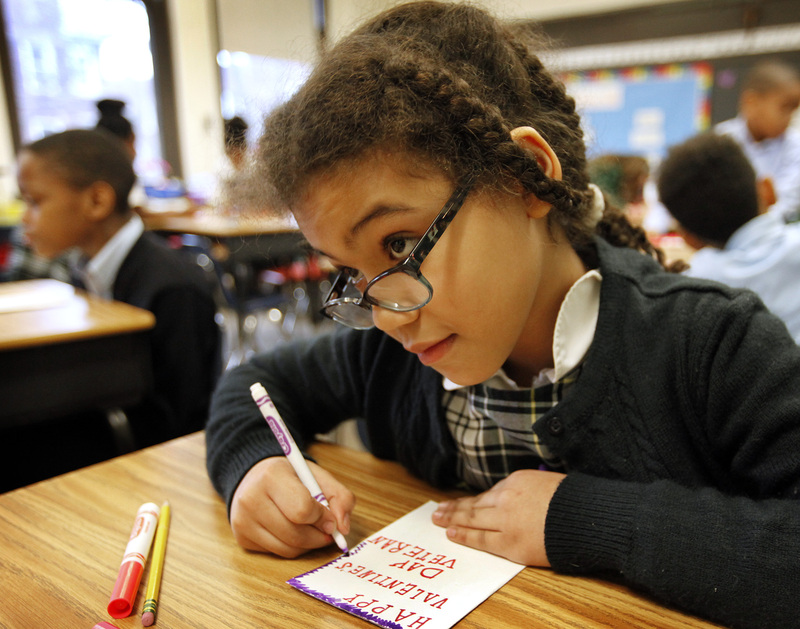 Apart from the life of a parish, the Catholic school is one of the few remaining places that consciously cultivate a distinctly Catholic culture. By this I do not mean indoctrination, for that would offend the freedom and dignity of our Catholic and non-Catholic students alike. Besides, the church and society suffer not from a lack of ideas, which are cheap and plentiful, but from a lack of imagination rooted in the virtue of hope. In a world torn by ideological divisions, this kind of imagination is in short supply. Our Catholic schools are one of the best ways of nourishing imagination, allowing our children, in the words of another Irishman, not merely to see things as they are and ask why, but to dream things that never were and ask why not. Third, a sound Catholic education places the human person at the heart of intellectual inquiry. The advance of impersonal ideologies requires the depersonalization of our discourse. If we are to overcome our political divisions, we must see the person who is the subject of our debates. The choice of a Catholic education for our children today is the right choice at the right time, not merely for its material benefits, but for the progress of souls; not only so our children may better live the American dream, but so they may realize God’s dream for us all: to live a life in faith, hope and love in a just and prosperous world. This is a nice essay on Catholic education, but it has the same flaw that so many church articles have - the principles need to be applied within the church before they will be believable to the larger society. We cannot help the world take the speck out of its eye until we take the log out of our own. Do we respect the marriage of faith and reason? We say that men and women are created equal, yet the church has no leadership structure for women and women are categorically silenced at the principal liturgy. That violates the principle of reason. A look at the Gospel stories shows that Jesus did not silence women. Women talked with Jesus, argued with Jesus and even fussed at him. Jesus instructed women to tell his disciples about his resurrection from the dead. We cannot say that silencing women is based in Christian faith. Our failure to develop a leadership structure for women certainly displays a lack of imagination and stifles our hope. Our Catholic educations seem not to have provided us with "imagination rooted in the virtue of hope." Our Catholic educations theoretically place the human person at the heart of intellectual inquiry. Why does the church exclude women in this intellectual inquiry? Are we not persons? We are certainly not treated like persons. A couple of years ago, a Vatican meeting about women included no women in the meeting itself, though they had women advisors to the cardinals who took part in the meeting. This kind of behavior is bizarre. Women have made far more progress in the larger society than they have in the church. The church has education and traditions that could help women take a more equal place in society and in the church, but it is either blind to that fact or it is afraid to have women take a more equal place in the church. People go where they get the best deal - respect, autonomy, a chance to be heard, and a chance to make a difference. At the moment, the best deal is in the larger society rather than in the church. Catholic education is good, but it could be far better if its results were demonstrated within the church itself. Father, continue with your July, 2016 Justice Brandeis article. Brandeis graduated at the age of twenty with the highest grade average in Harvard law school's history and noted, “You can have great wealth or democracy, you can have one or the other, but not both”. What would Justice Brandeis see today? The Democracy Index currently shows the US in last place on its list of “full democracy” countries. Great wealth is perhaps higher today than any other time in US history. The “great wealth” of 400 Americans can increase every ten years by nearly $1 trillion from capital gains income. For comparison, $1 trillion surpasses the annual economies of forty-seven states. "…the liberty of a democracy is not safe if the people tolerate the growth of private power (great wealth) to a point where it becomes stronger than their democratic State itself. - FDR 1938 Great wealth has 10,000 lobbyists in Washington DC and “We the People” have 535 members of congress. Can America once again place its trust in the American dream? Of course. Trust in “We the people” rose to 77% in 1964. From 1951 to 1964 America had a 91% top federal income tax rate to keep great wealth in check. Americans had big dreams then and put a man on the moon in 1969. No other country has. From 2003 to 2013 we had a 15% capital gains tax rate. In 2008, we had the worst economic contraction since the depression and trust floundered at 10% in 2011. The American dream perhaps depends on whether voters love their country more than they love their billionaires. Cultural Catholicism is the mistaken idea that sociological practices associated with an institutional church are a positive contribution to following the basic teachings of Jesus. This was not true under Constantine, nor the Kings of France, nor the bourgeoisie of Geneva, much less our contemporary Catholic schools with their underpaid teachers and broad, career-focused curricula. It would be much more useful to have students and parents bring their experiences of the secular world to discussions in the local community, where all could share the problems of living as followers of Jesus in a world of competition and consumption instead of love of neighbor. The context which serves as the foundation for Catholic education, I agree, could not be more important than it is today. And, of course, the choice of a Catholic education is a good one, perhaps even the best one, for many. In some ways Catholic education does a better job than the parish in handing on the faith to the next generation, some ways, not all. But who will be able to afford this? The baby of the Catholic ghetto that has been tossed out with the bath water is not retrievable given the present economic reality of Catholic education. Remembering why Catholic education was founded in this country leads to a number of issues that might need addressing. In the "ghetto" the children of Catholic families in parishes were largely the beneficiaries. As that portrait changed, so too did some of the emphasis in the day to day operation of the schools as well as the staffing. A relatively inexpensive religious labor force was replaced by a very committed lay cadre of hearty souls working for wages and benefits below the norm in education. In some areas the schools became "therapeutic" alternatives to faltering public systems, and the Catholic majority that filled the seats soon became a thing of the past. The amenities wars, especially in athletics, further steered the schools away from their original core purpose of bringing forth Christ to the members of the community. On some weekends, bringing forth victory seemed more important. Yet Catholic education still stands as possibly the best vehicle for "spreading" the faith among its student population, but it cannot sustain itself given the present financial situation and structures. New and creative ideas and minds need to come into play to assure that this legacy extends itself to generations to come. As Fr. Malone points out, a primary objective of our education needs to be a conscious cultivation of a distinctively Catholic culture. We do that gingerly now, sometimes afraid to offend, yet that is not so in many schools unabashedly proud of their Catholic identity which is still at the core of their existence. The equation for success going forward, it seems, must include sound strategic planning, solid financial policies, an openness to new models, and a commitment to the Catholic nature of the school as essential for its existence. Otherwise we shall continue to read articles like Fr Malone's next to the news of the latest school closings in any number of dioceses. This article also appeared in print, under the headline "Of Many Things," in the October 24, 2016 issue. Matt Malone, S.J., is president and editor in chief of America.